The Rev. Nori Rost of All Souls Unitarian Universalist Church speaks at a news conference for Miguel Ramirez Valiente, fourth from left, who is facing deportation, Wednesday at the Colorado Springs church. His wife, Alisha, and son Silas, both American citizens, joined him on stage. Miguel Ramirez Valiente , who is seeking sanctuary with the help of local churches and organizations, sits Wednesday in All Souls Unitarian Universalist Church. 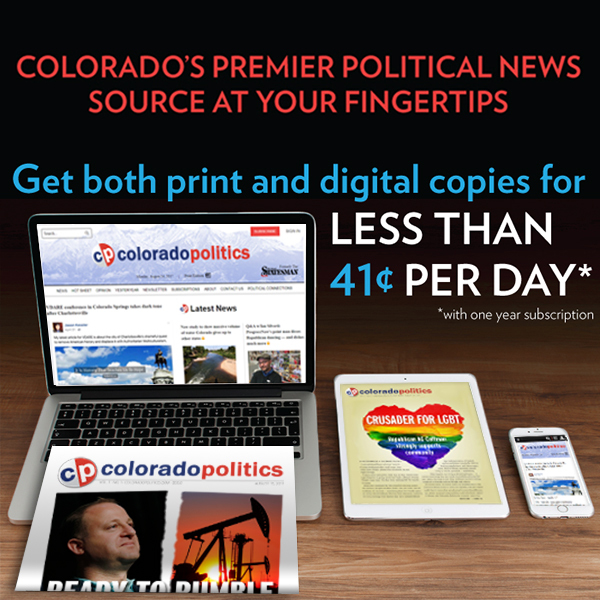 COLORADO SPRINGS — Miguel Ramirez Valiente thought he avoided deportation to El Salvador in 2017, when U.S. immigration officials closed his case and he appeared on track for a green card. But he said a mailing error and the federal government’s partial closure have upended those plans — leaving him cloistered in a church and unsure of when he might leave. Ramirez Valiente, 40, pleaded for the federal government to reopen Wednesday during his first public comments since seeking sanctuary from immigration agents at a downtown Colorado Springs church. Doing so, he said, offered the only hope of defending himself against a pending deportation order and remain in the country with his American wife and three children. “The most important thing is that I am not separated from my family,” said Ramirez Valiente, reading a prepared statement in Spanish that was translated by a member of Colorado Springs Sanctuary Coalition, a group of churches and advocates aiding undocumented immigrants. Ramirez Valiente’s entered All Souls Unitarian Universalist Church, 730 N. Tejon St., in the second week of the partial government shutdown, which began Dec. 22, over President Donald Trump’s insistence that Congress provide $5.7 billion for a wall along the U.S.-Mexico border, a demand Democrats have resisted as immoral. Ramirez Valiente has been living in the church since Jan. 2 — a day before he was to turn himself in for deportation. Churches have been a haven for immigrants seeking refuge from deportation since a Reagan-era policy dissuading Immigration and Customs Enforcement agents from entering “sensitive locations,” including hospitals, schools and churches. He is the second person to be granted sanctuary from deportation at the church. 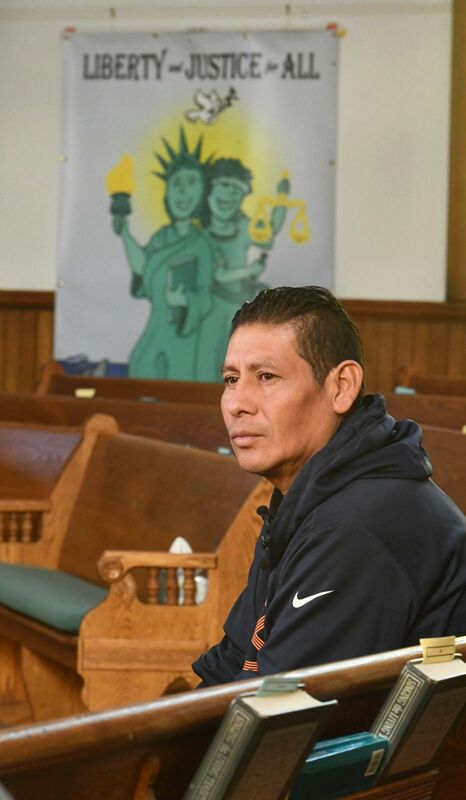 The first, Elmer Peña Peña, moved into the church in late summer 2017, but only stayed a few months because of the strain of being separated from his family, said Eric Pavri, an immigration attorney with the Catholic Charities of Central Colorado, who has advised the coalition on legal matters. Peña Peña’s whereabouts are not known, Pavri said. Ramirez Valiente came to the U.S. 14 years ago while fleeing gang violence in San Salvador, El Salvador, where he had been studying law a the Technological University of El Salvador. He met his future wife while living in Denver, and the two married in 2011. He later moved to Colorado Springs, where the father of three has worked as a stonemason. A traffic stop in 2011 near Castle Rock led to Ramirez Valiente’s first deportation order, after an officer asked about his immigration status. He was cited for driving without a license and he was turned over to Immigration and Customs Enforcement agents. Deportation proceedings were put on hold in 2015, when a co-worker punched him in the face and beat him over accusations of stolen tools at the job site — allegations that Ramirez Valiente denied. After his attacker was convicted, Ramirez Valiente applied for a U-visa, which allows victims of felony assaults who assist in prosecutions to remain in the U.S. for up to four years. After three years, applicants can seek permanent residency and a green card. In May 2017, his case was administratively closed, meaning he was no longer facing deportation. Immigration officials reversed that weeks later, sending Ramirez Valiente a letter notifying him of an upcoming court date. Despite being addressed to Ramirez Valiente’s house, his attorney, Lisa Guerra, of Denver, said it ended up being delivered to her office. Ramirez Valiente’s phone had been shut off, giving her no way to let him know about upcoming court dates, she said. After missing his October court date, Ramirez Valiente was ordered to turn himself in to immigration agents Jan. 3 for deportation. It was the first time he had missed court in eight years, he said. Normally, Guerra said she would file motions to postpone his deportation and fight the order. But she can’t, because the Denver Immigration Court is closed due to the federal government’s partial closure. “We are basically in legal limbo, waiting for the government to reopen,” Guerra said. Ramirez Valiente’s criminal history could affect his chances of remaining in the U.S. legally. Also in 2011, he pleaded guilty to reckless endangerment in a child neglect case and was sentenced to a year of probation, court records show. A domestic violence case was dismissed by prosecutors in 2016, but in August, he pleaded guilty to driving under the influence. None of those cases appear to have factored into immigration officials’ decision to reopen Ramirez Valiente’s case, Guerra said. While he remains in the church, Ramirez Valiente spends his day playing with his 4-year-old son, reading or watching television. His wife, Alisha Ramirez Valiente, sleeps there during the day before leaving at night to work. Their other two children, ages 12 and 10, live with their grandparents on weekdays while attending school.